So cool that Team USA tuned up for the world-famous Pan Am Games via this international competition at Cooperstown! Baseball won’t remain an all-male sport forever. Change is happening fast. 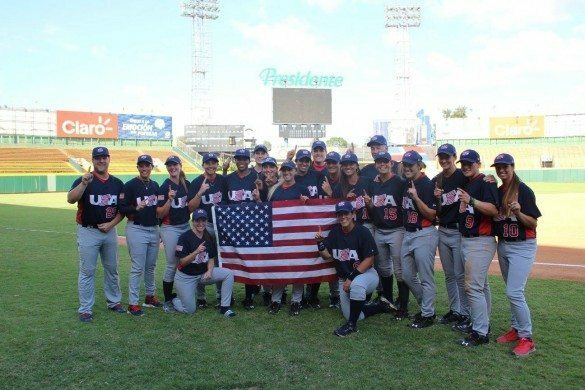 America’s women’s baseball team is stunning world competition in the Pan Am Games. One of the mainstays on the team, Tamara Holmes, played previously for the Colorado Silver Bullets, managed by Phil and Joe Niekro. Another (Sarah, the daughter of former pitcher John Hudek) has earned an NCAA baseball scholarship. Yes, MEN’S baseball. I predict women’s baseball will become an Olympic sport. There will be baseball cards to get autographed. These are not mere players. They are pioneers. Don’t be surprised when you learn of an American women’s professional baseball league, either.